A detailed setup guide for connecting Pardot to FeedOtter. Pardot is a powerful marketing automation platform that supports B2B marketing and lead management, customer engagement marketing, real-time personalization, and marketing management. 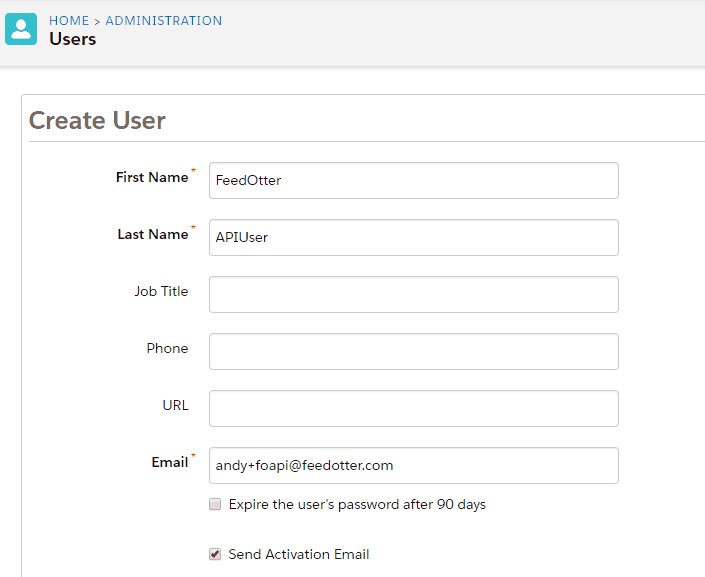 FeedOtter is part of the Pardot Partner program and is the best Pardot RSS integration in existence. Perfect reporting, multiple automation options, and unparalleled support makes sending rss content to you leads automated and painless. 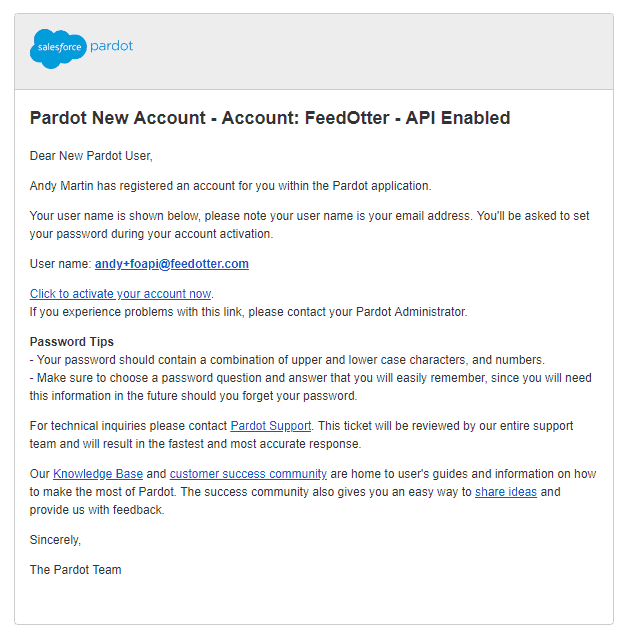 Follow the steps below to enable integration between your FeedOtter and Pardot accounts. Setup in Pardot is relatively straightforward. It involves creating a new user with API-only access. Login to your Pardot account and navigate to the Admin (suitcase), select User Management, and choose Users. Now create a New user. This is a user account that FeedOtter will use to create and schedule email sends on your behalf. Click the Add User button. The following screen will come up – fill in the First Name, Last Name, and Email fields. 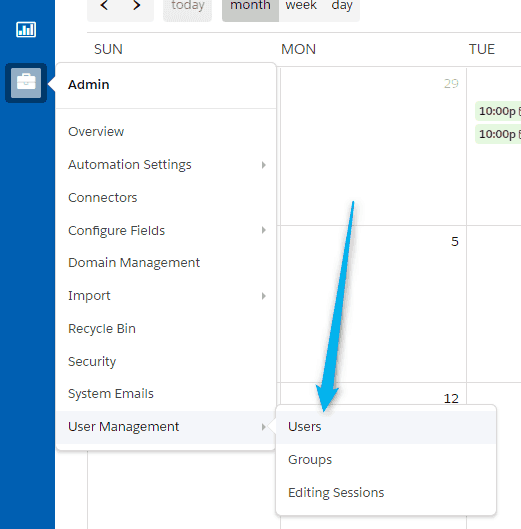 Pardot requires that an activation email be sent and clicked to complete new user setup. Because of this requirement you will need to enter a valid email address. As a workaround, Pardot suggests using your email and adding a “+foapi” before the @. In many cases this will route the activation email to your email address so you can click the link and set the new user’s password. If this doesn’t work you will need to use an email that can be monitored such as marketing@youcompany.com etc… the only purpose for this is activating the user and setting the password one-time it is never needed again. 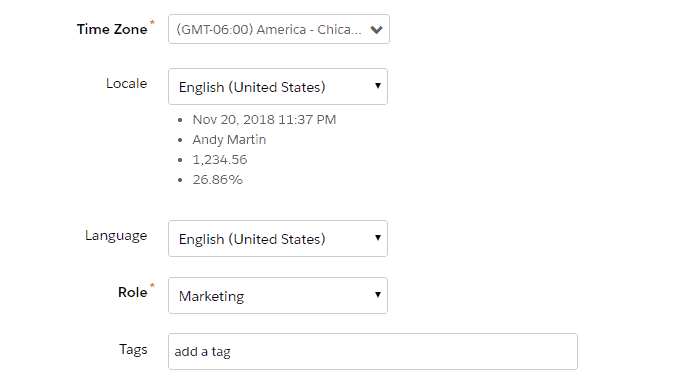 Scroll down and fill in the timezone, and set role to Marketing. Now that you’ve created a new Pardot user. You need to activate them and set a password. Look for an activation email from Pardot and click the activate link. The following screen will appear asking you to setup your password. 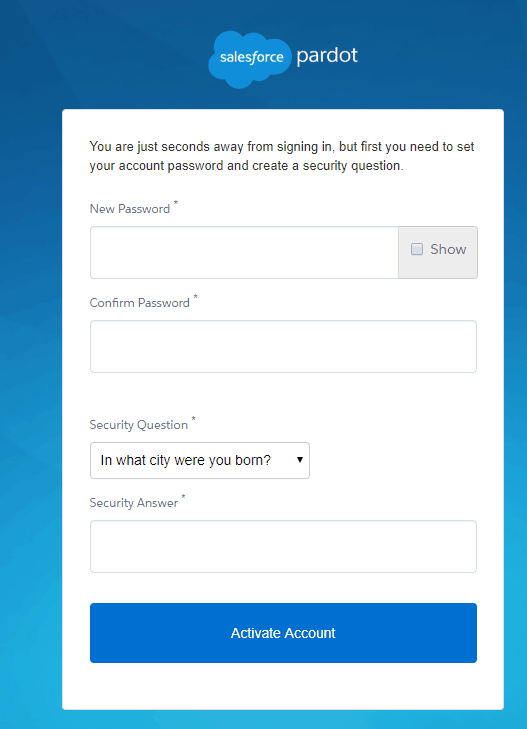 Add a password, fill in the security question. 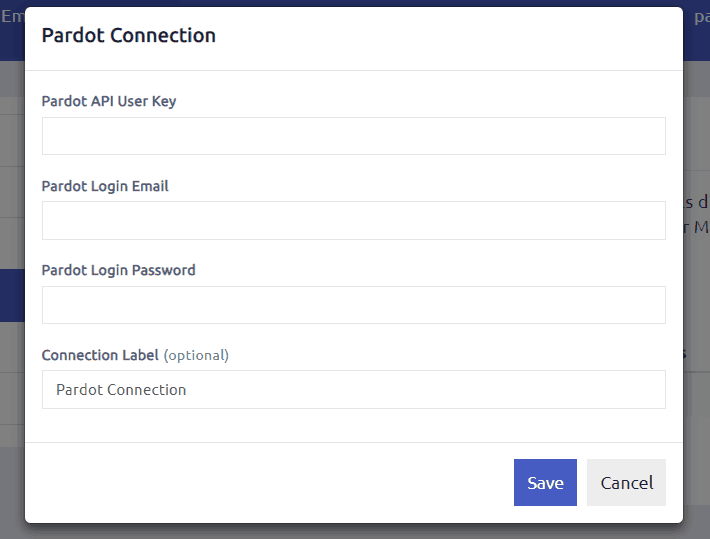 On the following screen login to Pardot using this new user’s email and the password you just setup and click on the Gear in the upper-right > Settings > Click on the My Profile tab. Enter the Pardot details collected via the previous steps on the popup. 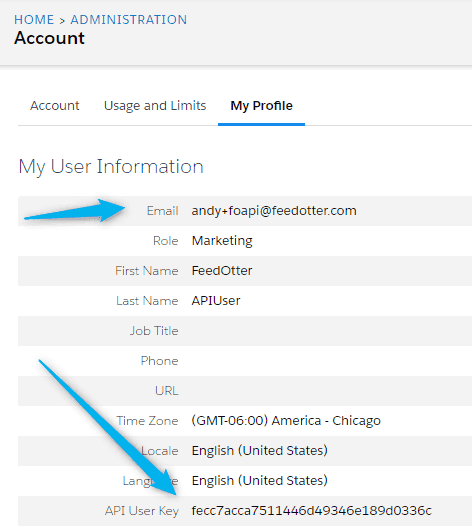 You can access your Pardot connection settings at any time by clicking on your email in the upper-right of FeedOtter and choosing Settings > Connections.